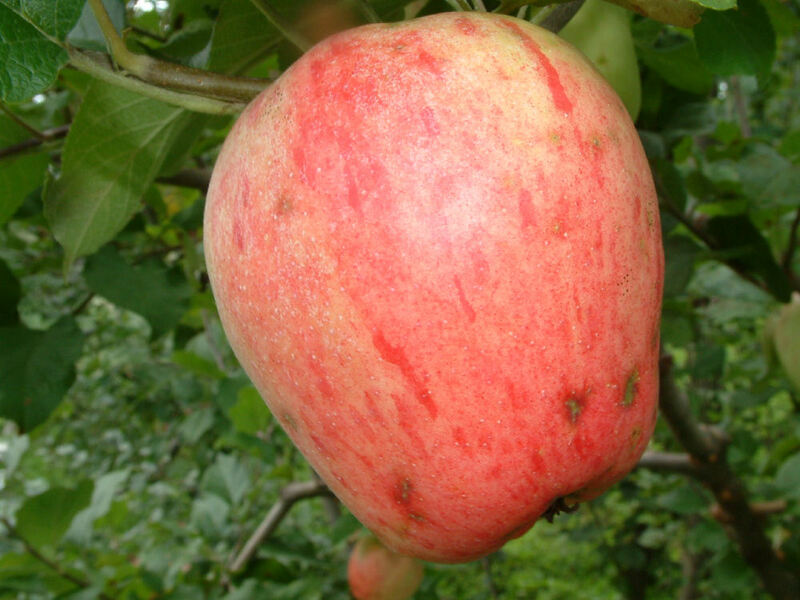 A very beautiful apple originating in New York around 1850. Excellent for both fresh eating and cooking. The fruit should be picked when the skin begins to develop a milky appearance. Medium sized fruit is quite elongated in appearance with smooth yellowish-white skin nearly covered with stripes of red and crimson. Tender white flesh is juicy, aromatic and highly flavored.